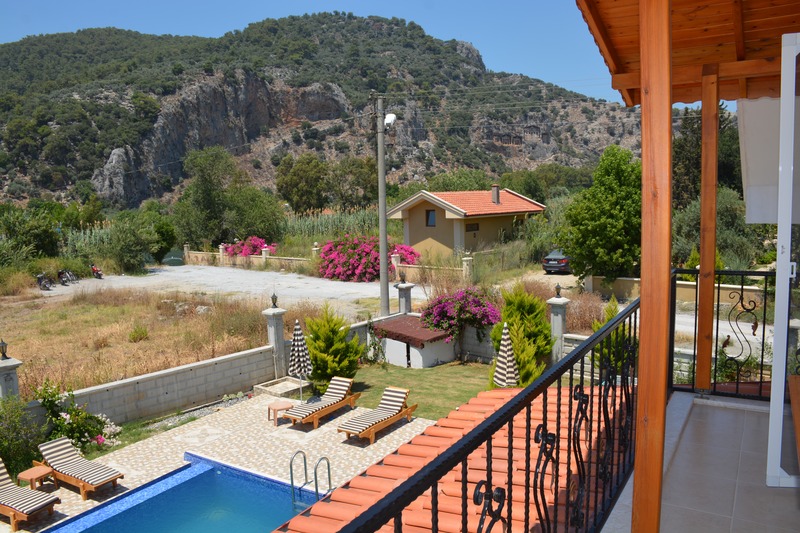 DETACHED LUXURY VILLA (area single detached villa with views of the canal and the tombs of the kings)Our villa is located in a most beautiful and desirable area along the Dalyan River and with excellent views of the royal tombs and surrounding hills. 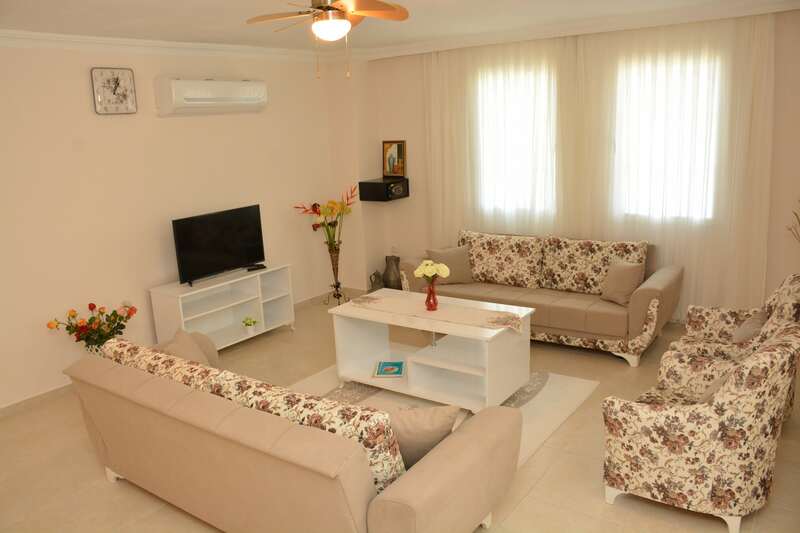 It consists of a spacious open plan kitchen and lounge area, with 6 bedrooms and 6 bathrooms, each with a good size en-suite and shower. 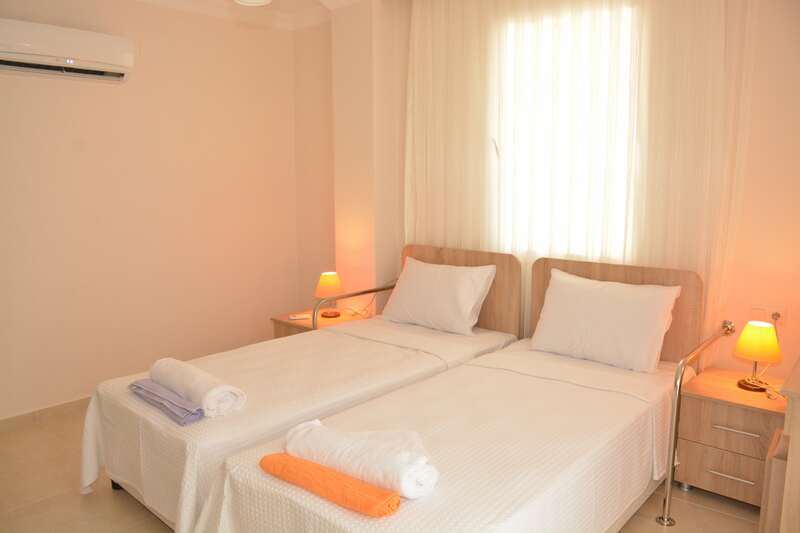 On the ground floor there is a single bedroom room with separate bathroom. 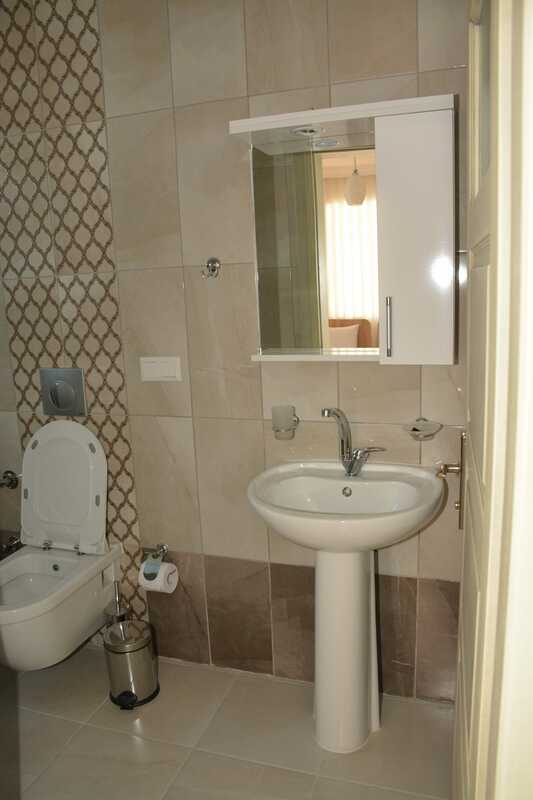 This bedroom and bathroom have been fitted out with disabled facilities. Outside there is a large patio adjacent to the kitchen/ lounge, fitted with a barbecue and providing wonderful shade in the heat of the day. This overlooks a 50 square meters swimming pool with many sun-beds and sun umbrellas. All is set within a 615 sq. metre. garden with a large outer wall providing security and privacy. On the ground floor at the entrance there is a disabled wheel chair ramp. 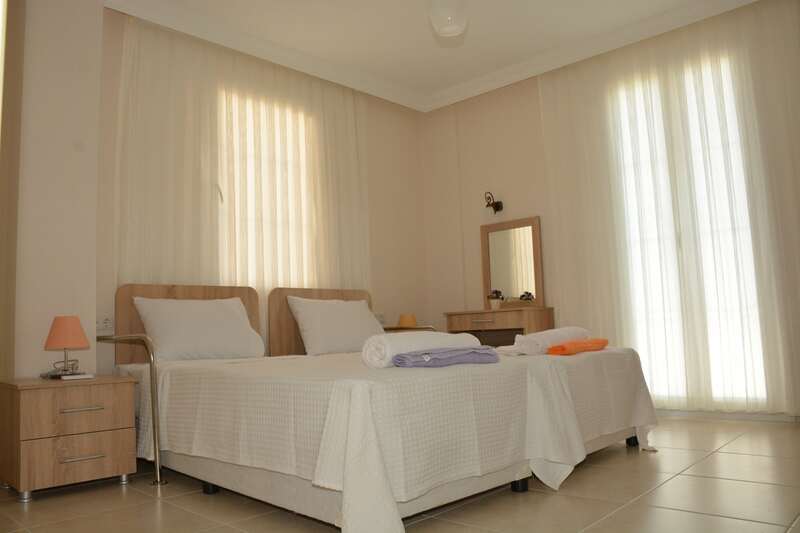 The villa, accommodation, and leisure facilities has been provided to the highest possible standard. 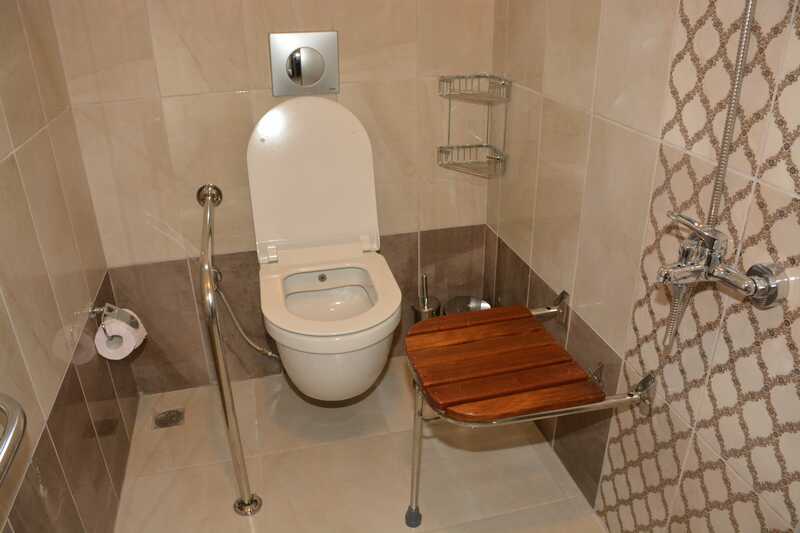 Ground floor two rooms are designated for disable person.with 7 bedrooms and 7 bathrooms, each with a good size en-suite and shower. 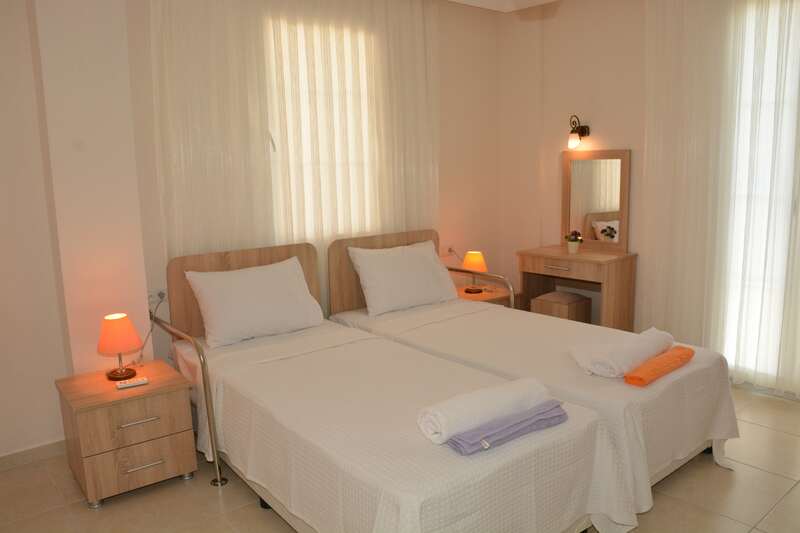 On the ground floor there is a single bedroom room with separate bathroom. 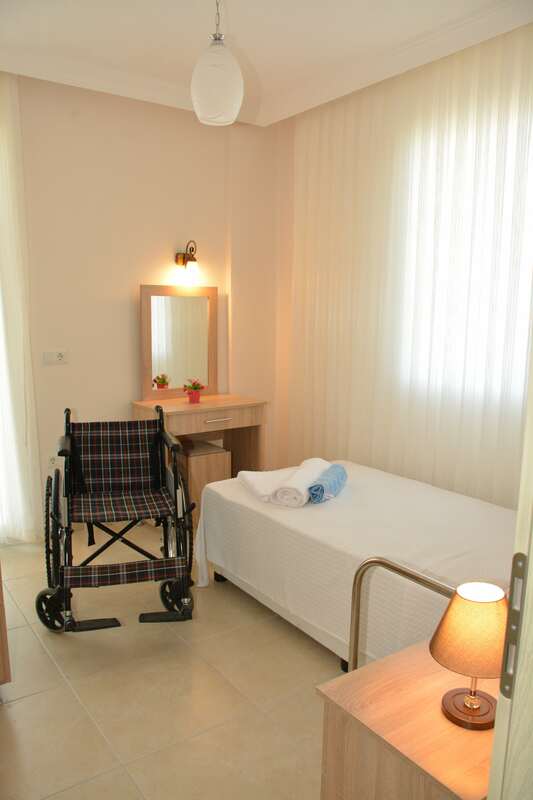 This bedroom and bathroom have been fitted out with disabled facilities. Outside there is a large patio adjacent to the kitchen/ lounge, fitted with a barbecue and providing wonderful shade in the heat of the day. This overlooks a 50 square meters swimming pool with many sun-beds and sun umbrellas. 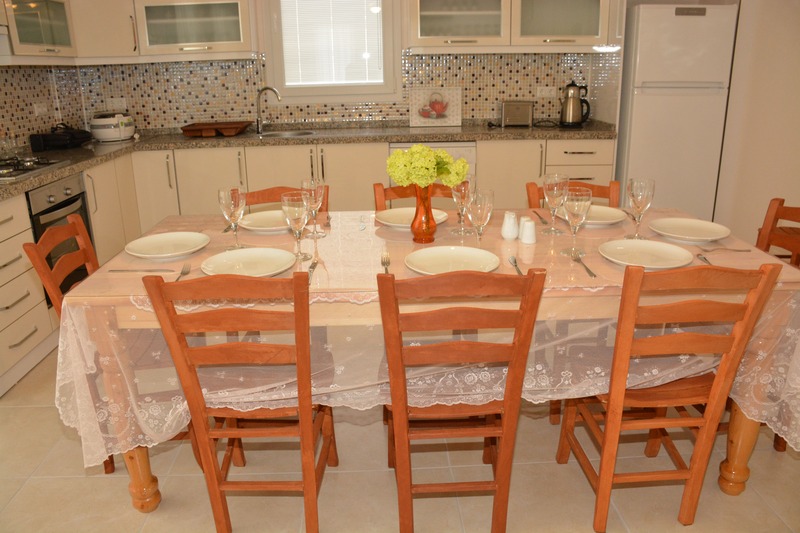 All is set within a 615 sq. metre. garden with a large outer wall providing security and privacy. On the ground floor at the entrance there is a disabled wheel chair ramp. 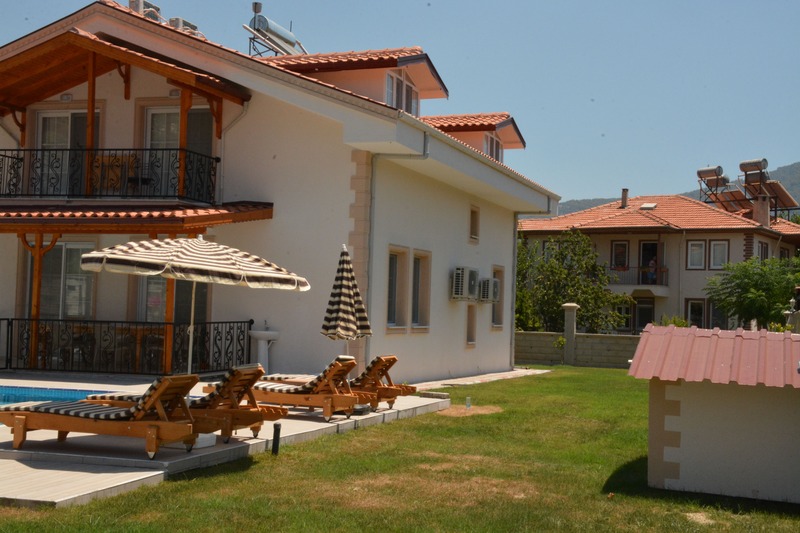 The villa, accommodation, and leisure facilities has been provided to the highest possible standard.